Follow Sabon to get news updates on your homepage. Sabon is being followed by 0 people. UK Delivery Details: Free delivery for orders over £50. Sabon has 1 stores in the UK in our database. Sabon is currently ranked 613 in the directory. Last month its rank was 108. 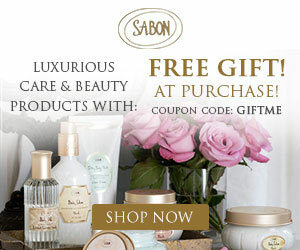 A Special Offer was added for Sabon: Sabon Sale 501 days ago. A Special Offer was added for Sabon: Limited Time Offer 501 days ago. A Special Offer was added for Sabon: Dead Sea Gift Set 501 days ago. A Special Offer was added for Sabon: For Limited Time Only 501 days ago.